Updated Sunday January 27, 2019 by Mike Huisman. 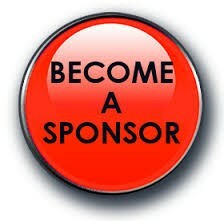 Click "Sponsor Information" link to the left! You can now sponsor your team online by clicking the "Sponsor Information" link (to the left), choose how you want to sponsor, and pay using your company credit card. Sponsorship includes name of business on the back of the team’s uniform and on the league's website. Another choice is to purchase a sign to be hung at Veteran's Memorial Field on Beachfern Rd. in Center Moriches or Moriches Bay Athletic Field in East Moriches. We will need the team sponsorship before mid-March to be able to have the business' name screened on the jerseys before they are delivered! Field sign design information is due by April 1st! We thank you for all of your support of MBLL!